Norris completed 38 laps in the morning but missed the final hour and 40 minutes of that session when he stopped with a reported loss of hydraulic pressure. He completed solid mileage when running got back underway after the lunch break, but did not improve on the 1m22.306s he set shortly after 10am local time until 5:15pm when he recorded a 1m19.264s on the C5 Pirelli tyre. 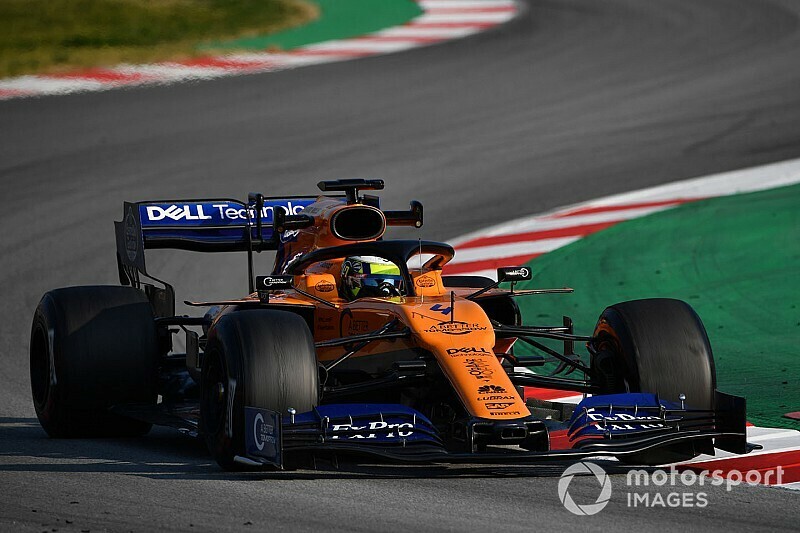 That was the first of three short runs the McLaren driver completed, with the second hoisting him up to fourth before he shot to the top of the times with a 1m17.709s lap on the C4 compound. But Norris stopped again exiting Turn 2 with just over 20 minutes of the session remaining, bringing out a third red flag of the day that left just 12 minutes of green-flag running when the session resumed. Red Bull driver Gasly had been fastest in the morning until a late improvement from Alfa Romeo's Antonio Giovinazzi, and was denied top spot again by Norris's late effort. But his lap of 1m17.715s on the C3 compound was more than a second faster than the best effort a Red Bull-Honda achieved in the first week of testing, while Gasly also recorded a session-high 136 laps. Lance Stroll ended the day third in the Racing Point-Mercedes, a mere 0.115s shy of Norris's time with 82 laps to his name. Sebastian Vettel spent the afternoon in Ferrari's SF90 and had a brief spell at the top of the times, before spending the latter part of the afternoon concentrating on long runs on the C4 and C3 compounds. 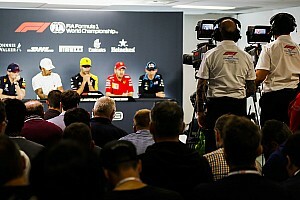 While Vettel logged 81 laps, his teammate Charles Leclerc was limited to just 29 after Ferrari spent much of the morning checking its cooling system. 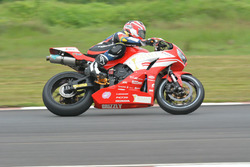 He ended the day with the seventh-fastest time. Morning pacesetter Giovinazzi ended up fifth, failing to improve on his early benchmark in the afternoon, while Toro Rosso's Alexander Albon jumped up to sixth late on with a 1m18.649s lap on the C4 tyres and was one of four drivers to surpass the 100-lap mark. 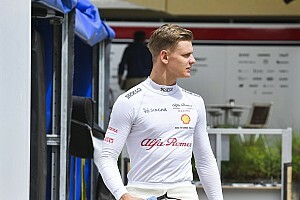 Kevin Magnussen (Haas) and Williams driver George Russell were the other two aside from Gasly to pass that count, and ended the day eighth and ninth in the times. Russell spent some time in the morning completing more checks for Williams, which missed the opening two days of last week's first test, but was able to attempt performance runs in the morning before focusing on longer runs in the afternoon. The top 10 was completed by Renault's Daniel Ricciardo, who set a best time of 1m20.107s and logged 77 laps after taking over for the afternoon from teammate Nico Hulkenberg, who propped up the times. 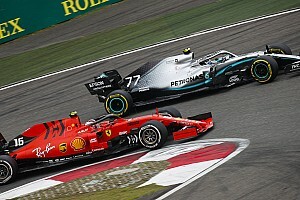 Lewis Hamilton enjoyed a trouble-free morning focussed mostly on long runs on the C2 and C3 tyres, but the same could not be said for Mercedes teammate Valtteri Bottas - who stopped on his out-lap in the afternoon with an oil pressure issue. Mercedes changed its engine as a precaution, but Bottas did make it out before the end of the session and completed a further six laps to end the day in 11th.